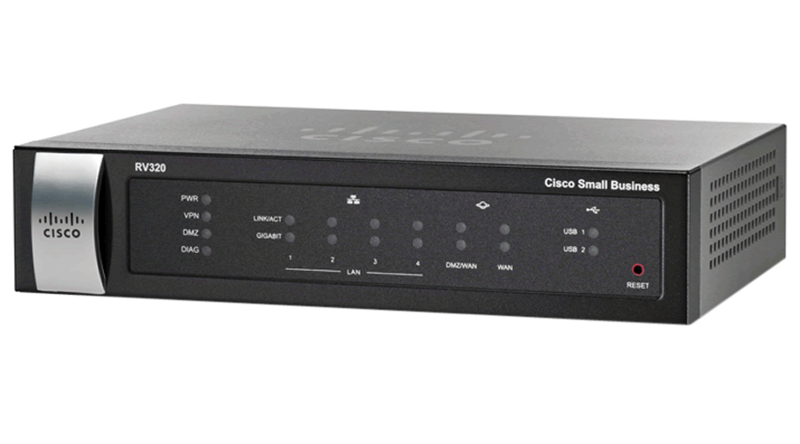 The Cisco RV320 Router features Dual Gigabit Ethernet WAN ports for load balancing and business continuity. Built-in 4-port Gigabit Ethernet switch. High capacity, high performance device with with an intuitive user interface. VLAN Trunking (802.1Q), 16 VLANS. Maximum of 50 VPN connections.